A pair of American robins decided to pick a corner of my home to make their nest, and it is outside by my garage door. One day after I came home from dropping my son's off at school, I saw the babies. I counted at least three mouths. 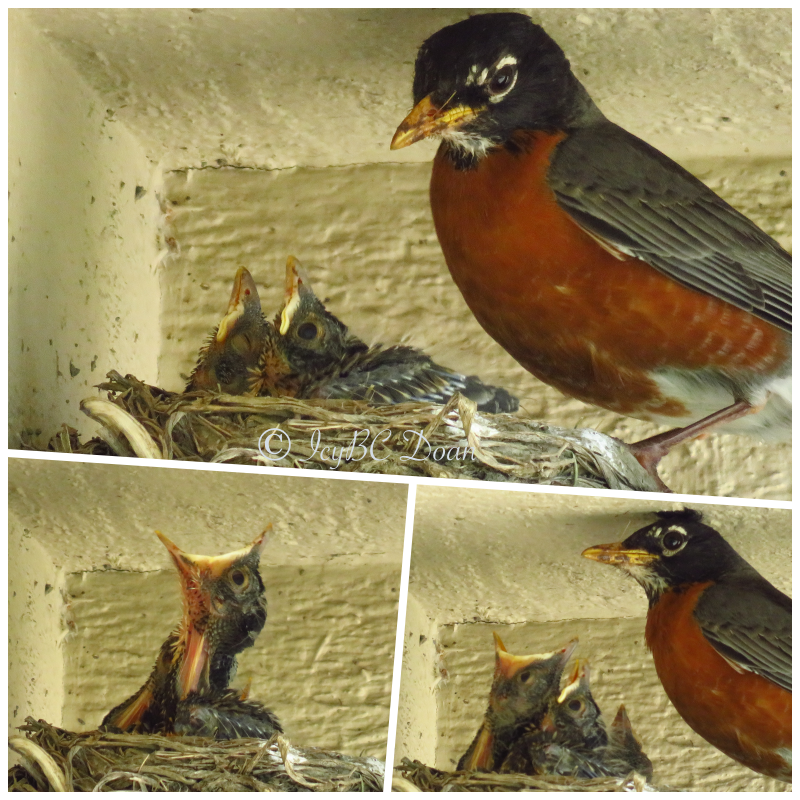 Between the mother and father, they are quite busy feeding these baby robins. I can tell who is the strongest of them all. The parents are fond of my present when I was trying to take their picture. Now, I wonder how the babies will get off the water pipe without any tree branches around. I plan on leaving the nest where it is for next year. Some other couples will find it useful. Wow! Those are fantastic photos. It's great to be able to see the details of these birds. Thanks so much for sharing. I don't know of anyone else that takes photos of such phenomenal quality. I mean that sincerely. These are fantastic. I wish I had robins at my house. All I have is wasps. A re-cycle bungalow for our feathered friends. Very nice photos! 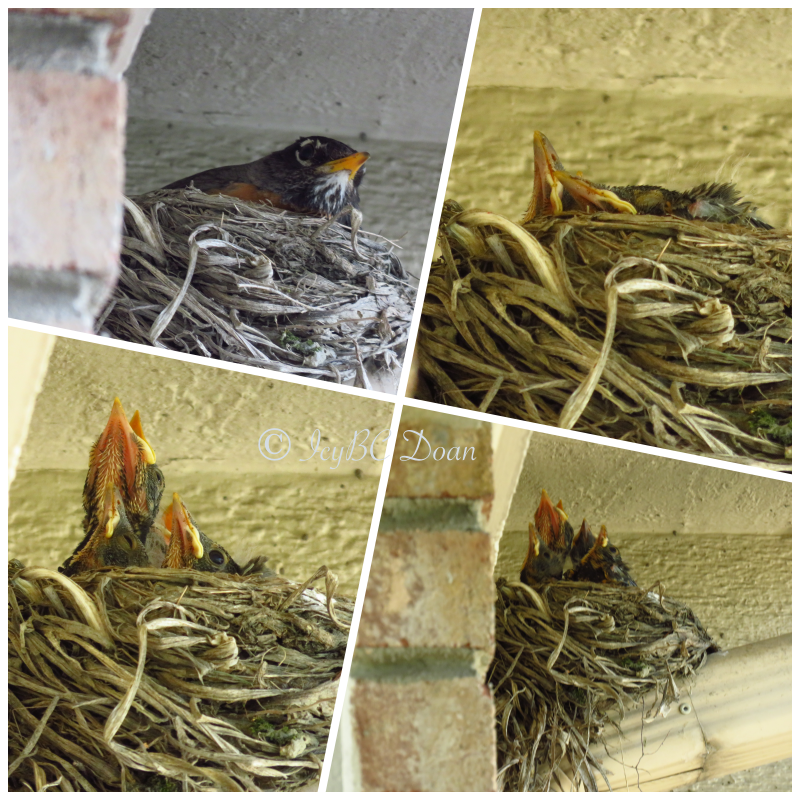 We always get several nests in our yard and around our house. We love having them here, but I'm always a bit fearful for the little ones. I have three little chicks on our grape plant. The parents are so noisy when are approaching them.